ESPNNNNNNN’s Greg Wyshynski spoke with TSN Edmonton this week about the Pacific Division and Jon Gibson’s eight-year extension goaltender with the Anaheim Ducks. Just like Vegas, the Ducks re-upped their goalie but have many questions elsewhere on the ice. While Gibson may help Anaheim compete, at this moment Fleury is in a better spot to win. So, with that in mind, let’s rank the goaltenders 1-8 in the Pacific Division. We charted top centers earlier this week, so let’s do the same with the PAC-8’s goaltenders. In six separate seasons, Quick finished in the top ten for most wins and goals against average, including last season. LA’s goaltender was ninth with 33 wins, and tenth posting a 2.40 GAA. The 2012 Conn Smythe award winner’s 49 career shutouts are fourth among active goaltenders, one ahead of Marc-Andre Fleury. Quick steps his game up in the playoffs posting a 2.23 career postseason GAA and a .922 career postseason save percentage. The Golden Knights swept the Kings in the first round but LA couldn’t put the blame on their goaltender, who posted four consecutive quality starts. Without Quick in net, the series would’ve been a two-game mercy rule. What more could I possibly say about Fleury? Golden Knights fans witnessed a star reborn and lead their team to the Stanley Cup finals. Fleury amazed start after start… remember he started 20 out of 21 games down the stretch? Fleury had a renaissance season becoming an All-Star for the first time since 2015, finishing fifth in the Vezina award voting, and passing 400 career wins. To top off a near-perfect season, the 33-year-old morphed into a flying brick wall in the postseason. 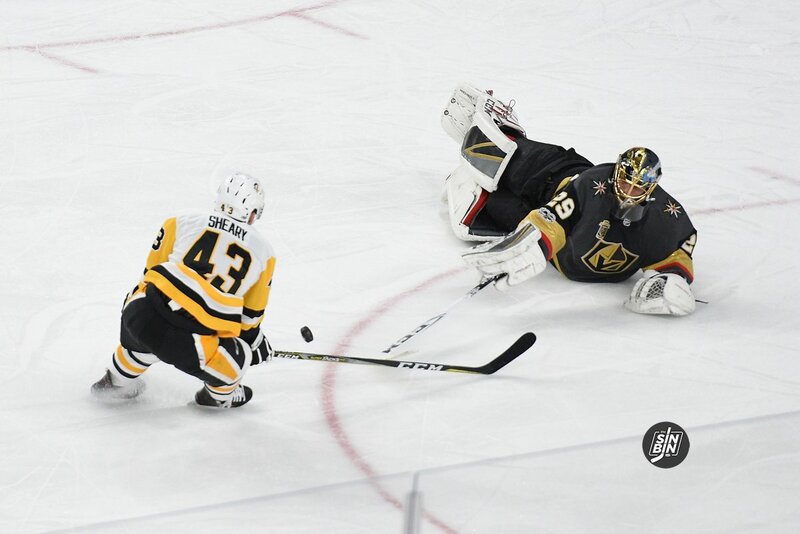 In 20 playoff games, Fleury allowed just 47 goals, and registered 12 quality starts. Sure, I gave Quick the slight edge, but it’s clear which goalie Vegas fans would rather in net.